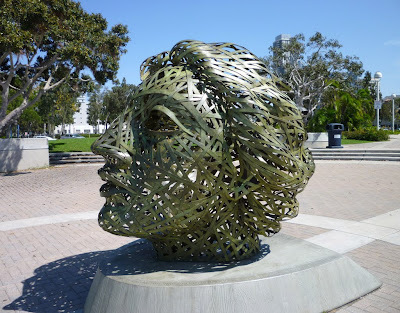 I was in San Diego this past weekend and encountered this unique sculpture named "Penelope" on my walk by Seaport Village. Local artist, Michael Stutz, immortalized "Penelope" from the Greek mythology "The Odyssey" for waiting 20 years for her husband Ulysses to return home from his journeys. 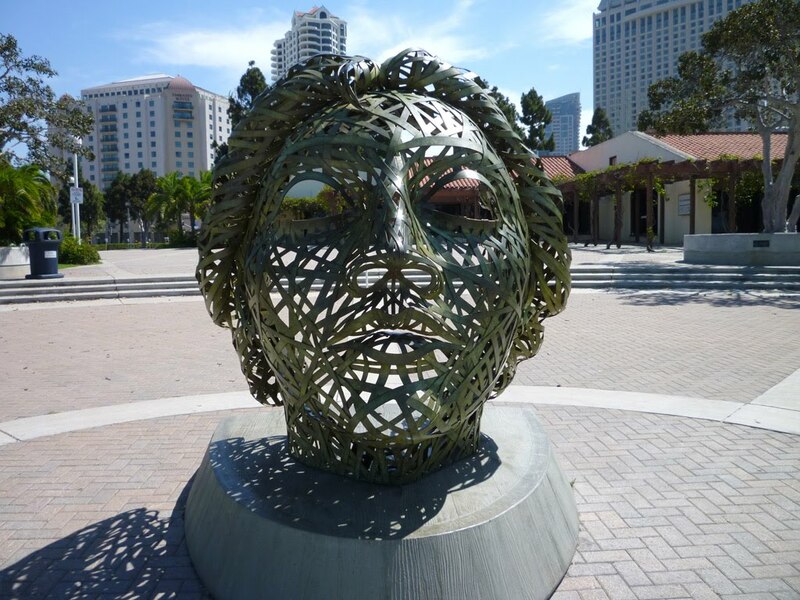 The sculpture is created by the weaving of bronze strips welded together. Stutz spent 3 years in New Orleans building Mardi Gras parade floats which had an influence on his life to create large scale sculptures. From the back side, you can imagine what Penelope sees day-in and day-out. The moment Penelope looks forward, it may look backward as well. Wow... she gets great views daily! what a beautiful sculpture. the first shot is my favourite. I think that's what the artist was going for 'to freak people out and make them take notice' I like it. 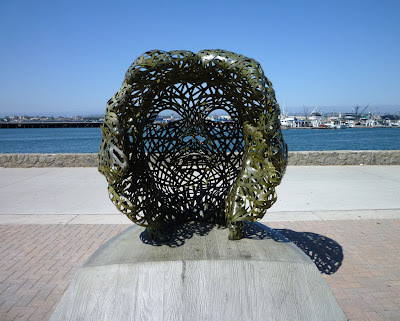 Rainfield61: You never know where she is looking. Yogi: It sure is and huge too! EastCoastLife: She looks forward to the ocean and backwards to the cityscape. LifeRamblings: I might have caught it on its good side. HereBeDragons: I can see why with it having no eyes. Then I'm glad I walked past it during the day. Ryan: It certainly is different to make it noticeable. That is absolutely so artistic. What a treat to see this. It must have been gorgeous in person.